HomeEventsMember Exhibit (Wayne Marcus): "Visions"
Member Exhibit (Wayne Marcus): "Visions"
Please Note: Wayne's Exhibit has been extended until November 17th. 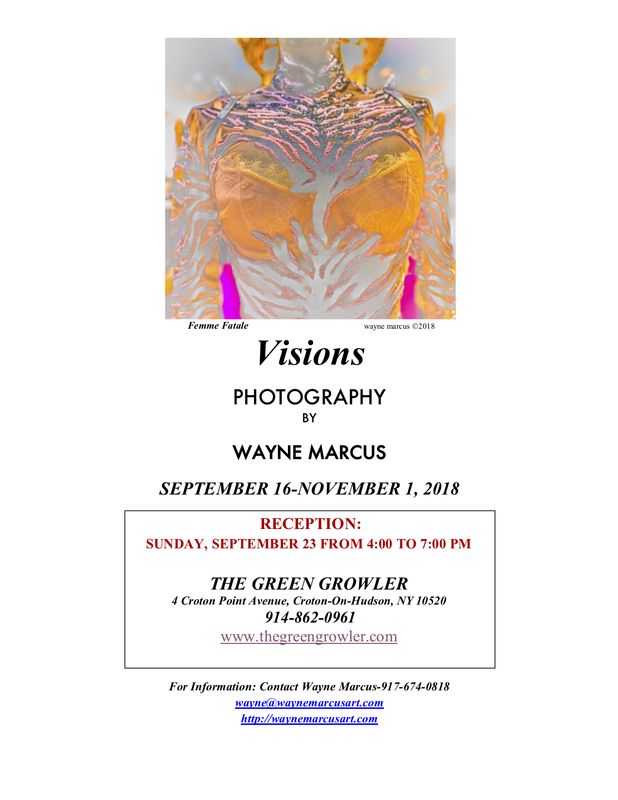 Member Wayne Marcus will have a solo exhibit, "Visions" at The Green Growler in Croton-on-Hudson from September 16th through November 17th. The reception will be Sunday, September 23 from 4:00-7:00pm. Wayne's unique and evocative imagery will be a feast for the eyes.